I am not a pot stirrer. I run from conflict and controversy. Some people embrace it. Derive energy from it. I am not one of those people. I am way too sensitive. I struggle with people pleasing. Approval addiction. I am open about that. I don't like it, but I am constantly working on it. So when I sat down to schedule a few posts to keep all of you entertained, and the looters away from my house while we were on vacation, I never anticipated the strong feeling the princess post would bring out. I honestly thought the illustration was funny. Snarky. With a grain of truth. But here is the deal. Three daughters that I am doing the best to raise in Orange County, California. Three daughters who have a dad in full time ministry. Tell me that is not a monumental and overwhelming task. I am a lover of books. Of stories. Of music. I am of the thought that what you watch with your eyes and hear with your ears, does indeed influence your heart and your mind. Am I perhaps a bit on the strict side? I make no apologies for that. Am I blaming Disney for anything? I am well aware that Disney was not the original author of most of their movies. I know that there is some sort of darkness and trauma in nearly every timeless story and nursery rhyme. I read them as a kid. I watched them as a kid. I do not blame them for my issues. All Disney has done is made an entire culture out of their Princesses. Aisles and aisles of culture. I do not expect the Princesses to be my girls' sole role models and teachers. I know that responsibility lies on the real humans that influence their lives day in and day out. I love how Enchanted turned the whole princess mythology on it's head. I do not love how The Little Mermaid is a case study in disobedience. But do we own nearly all of the movies? Then we talk about them. A lot. We talk about Tinkerbell's temper. Wendy's jealousy. Ariel's disobedience. The list goes on and on. But we also talk about some of the beautiful qualities. Bravery. Friendship. Loyalty. A kind heart. Hard work. In this house Belle is our favorite. Belle is my favorite too. I like that the girl has brains and beauty! I hope you had a good vacation! It is very true that we only have one chance to raise our kiddos. I agree that the Disney Princesses didn't cause all of the problems of the world but I think it is an excellent way to approach the situation by talking to your kids about the messages. I have all boys and the messages in the movies/shows they like are usually violent. I shield them as much as I can and what I can't shield them from we talk about. Thanks for being real and putting yourself out there. you are awesome. P.S. Whoot whoot for Star Wars! I love that people get upset at you for making a point about cartoons in an unflattering light and not being Godly by leaving nasty comments. Because that makes sense. Oh and Belle is my favorite too. I want the yellow dress and the three story library please! Wow, I read the original post, pondered it, but didn't comment. Whether I agree completely with something or not, I appreciate being challenged to think about it, and the post did that for me. There's nothing wrong with making people think (though I'm like you and loathe drama, particularly unintentional :). Disney Princesses are big in our house too...(I owned the movies BEFORE we had girls!!! )And like other shows, movies, books, real life situations we watch, read and observe it opens the doors for us as parents to discuss it with our daughters, to express what God would want us to do, behave, and NOT do. Case in point, we watched the first 12 episodes of Glee the other day (it was a bday present) and discussed teen pregnancy with our 11 and 8 year old. It made a taboo topic real and we were able to talk about God's plan and desire for our bodies....Sorry to go on and on here ~ but I think you are doing an awesome job raising THREE girls (compared to my two) with grace and love in this world! You're a rock star momma!!! I love reading your blog and feeling of your spirit! Thanks for all your personal thoughts and putting yourself out there - you brave girl! I seen your post the oter day, and thought it was very funny! My mom, who is very southern, always put it this way. Some people don't know they are making a stink, because they are so used to the smell. Stay funny!! I've been a reader forever but I rarely comment. I am the silent, non-confrontational type as well. I usually just read and then laugh or think :) I'm going to refer to my favorite Dr. Suess quote here: Be who you are and say what you feel. Because those who mind don't matter and those who matter don't mind. As a mom to 4 Princess obsessed girls, we watch them, especially the Little Mermaid. It is their favorite. I hadn't really thought about it until reading your previous post. I always thought about the positive side of it, the girl going after her dreams. But now that you mention it, I have often wondered where the girls were picking up on some serious attitude. I'm definitely not going to get rid of the princesses, but we will certainly be discussing the message a little more! Thanks for a couple of pretty insightful posts! I also have to tell you that I was so impressed with these posts that I called my husband at work to read them both to him. He was also enlightened and feels that there needs to be a little more communication about what the girls are taking away from the movie. I've never commented on your blog but today I HAD too. I really appreciated your princess post. I only have 1 daughter so far but even at 18 months I am sensitive to the messages she is getting. So it is refreshing to know that I am not the only strict, aware, and involved Mommy out there. Thanks for posting and for clarifying (not that you needed to.) Hugs from Texas. Haha! I thought it was so clever! And this is a great post. Drama...yuck. Julie, I feel exactly the same about Disney princess movies. Bravo for putting yourself out there! I love you Julie. You just put that all so perfectly. And it shows what a great Mom you are. And I loved all those Disney pictures. it's all about balance and present parents. so, as far as Disney, we watch some, leave some, and talk a lot, like you :) I'm just getting a little weary of all the "aisles & aisles" of princess culture. It's so much bigger and in-your-face than when we were kids, isn't it? hmmm. . the force is strong with this one. Good post, friend. Good post. good for you! i totally agree. with two sons & no girls we do not deal with princesses, but we deal with super heroes. it is the same concept... we talk about what super powers are cool & why we like super heroes... then we talk about the ultimate super power is the Holy Spirit in us, & the ultimate super hero is Jesus, who gave His life to save ours. There is a definitely a way to balance what our kids are bombarded with, protect them, teach them, but not make them "weirdos" or have them be completely out of touch with reality. great post! PS belle is my favorite! I loved your original post and sent it to my neighbor who loves Disney and goes at least twice a year (she is there now w/out kids). She thought it was funny too!!! love, love, love your heart. I started reading your blog at the beginning of the year. I have not left a comment (and I usually don't read other people's comments), but this post had me scrolling back to read the comments. I found myself getting very protective of you while reading a few of the comments; thinking, "there is no way this person keeps up with her blog, or they would know her heart so much better...and never leave a comment like that." Anyway, I thought it would be an appropriate time to comment and say: I think you are awesome! I appreciate your point of view, strength, courage, faith, love for Christ, and love for your family and calling. I am a brand new family medicine physician and mother to a 3 yo and 11 month old. I genuinely feel the Lord lead me to your blog for many reasons, but for two very important main reasons; 1. your heart as a mother and your desire to find balance in your life while teaching your daughters to find it in theirs' (cooking, religion, friends, family, happiness, sorrow, beauty, princesses, heroes, etc) and 2. your walk with grief. I have had to face the absolute sorrow of delivering a sleeping angel from the opposite end of the bed, and because of your blog and your openness, I was able to contribute to my patient's healing (and work through my own) instead of feeling lost and hopeless. So what I'm trying to say is thank you for sharing!!!! you need not explain your reasons for writing that post. it was simply sharing your heart for your girls and anyone with a daughter should appreciate that and not question your motives, choices or feelings. you are simply trying to do the best with the children God has given. all I care about is the "Well done, good and faithful servant" from the God of this universe at my day of judgement........and I think you are absolutely in the running for yours!!! oh good grief. i just caught up on your blog and read all the comments from the original princess post. talk about a bunch of drama queens. since when is it a BAD THING to be be a thoughtful, intentional mother who doesn't just mindlessly let her children watch or listen to anything they want, but spends a little time THINKING about what messages they MIGHT be getting in the process? i happen to both LOVE Disney Princesses AND THINK about the messages my daughter might receive from them. last i heard, this makes me an awesome mom. and i totally agree with the comment left by the "Waner family" here. those rude comments HAVE to have been left by people who don't actually read your blog on a regular basis and do not know your heart. the rest of us do. and we love you to pieces and TOTALLY get where you were coming from. I think I found it the way you did. Funny & snarky with a grain of truth in it. I shared it with my friends who thankfully also got the joke. People need a sense of humor. Some people are too quick to stir the pot. To jump in and cause drama. To try and bring someone else down. Just for the fun of it. ?? I'm not even talking about that post because I haven't opened the comments there. Have no idea what they even say. But drama drives me batty. It makes me sick. P.S. We love Disney. ;-) The happy fluffy make believe lands... we love it all. Have you watched the Princess Sing Alongs? They actually have really good messages that the narrator points out. We like those alot...lets face it, it's the songs the kiddos love the most anyway. There are far worse things than Disney for kids to watch....my 4 (then 3) yr old watched Eloise and picked up her little attitude and it still comes out every now and then. Grrrr. Is it weird that I had a dream about Minnie Mouse last night then this was the first post I read this morning? A. 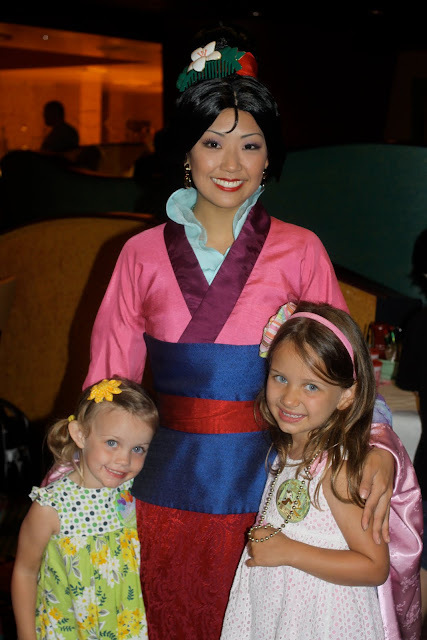 Why didn't we get Mulan and Jasmine at our Princess lunch? B. Why is Tinkerbell so sweet in Tinkerbell but a stinker in Peter Pan? Great post! I have 3 girls and 1 boy...and we do have Disney movies - we visit Disney (my husband worked there 5 years when we lived in FL) and we love the princesses! I think we can use each movie and situation as a learning opportunity, just like your doing! Amen, sister!!!! No worries here, life is too short to get upset about a funny little cartoon! 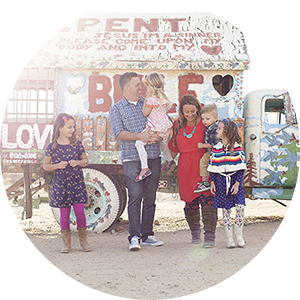 First of all, I've been reading your blog since right before Janie came along - I love it!! I think you have a heart the size of Texas and oh my - the things you do with needles and thread:) I'm totally jealous (and can't sew a button). I went back to the now infamous Princess Post. Does it make me sound awful when I say I think some folks have put waaaaaay too much thought into this? I just think that if a child is truly "disturbed" by watching The Little Mermaid or whichever -- the world is gonna be a REALLY scary place for that kid! I just take a laid back approach to some things. When my kids are teens (or even before), I don't think I'll look back on Disney movies and think of those times as evil, horrible how-did-we-ever-make-it-through? times. Julie - you make me want to be a better Mum just from reading about the the way you love Jesus and your girls. Thank you. i think you'll like it. wow, I am just now catching up on blogs from last week, so I am a little behind on this. I love Disney movies, but I do wonder why there is always a villian & why one of the parents is always dead. My girls love Cinderella...all the other Disney movies scare them & they won't watch them. Maybe in a few years. Anyways, great post & I feel the same way raising 2 girls...it is a very scary world out there! thanks for such an encouraging blog! I love your blog - you seriously rock. my friends all laughed at me when i said 'princess and the frog' was too scary for my 4 year old to see it in the theater. my children aren't that sheltered, people. i just don't feel the need to traumatize my kids and teach them about voodoo. lol. i'm a PK and my mom was strict about what we watched, but i'm grateful for it. when my kids watch a new movie, we watch it together so i can explain things to them(or hit the fast forward button :)).